Uber rolled out a new mobile app last month, promising to make it easier to book a ride. However, if you installed Uber’s latest update, the company has been tracking your location the entire time. The app update changed the way Uber collected location data from its users. 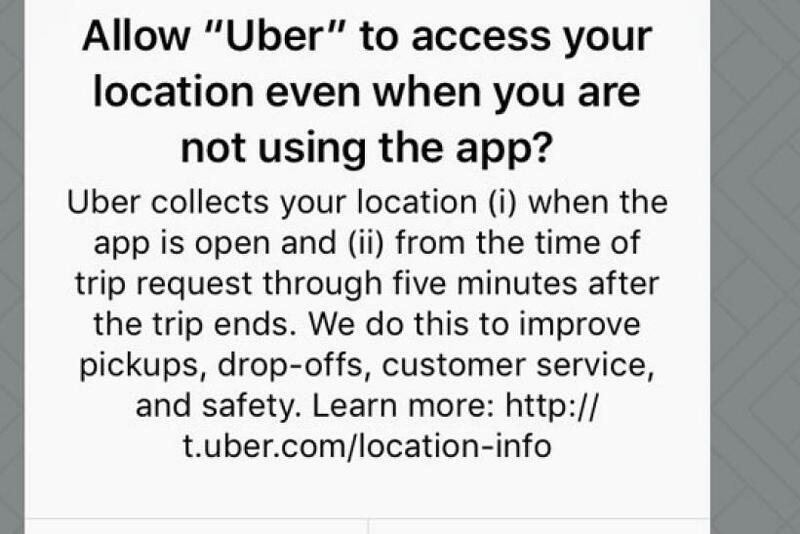 Previously, Uber only collected location information while a user had the app open - now, Uber asks users to always share location with the company. The company said it will use this information to improve drop-offs and pick-ups, which have been a major problem for Uber. Many riders were upset that Uber has been collecting location data in the background without their permission. “We’re always thinking about ways we can improve the rider experience from sharpening our ETA estimates to identifying the best pick up location on any given street. Location is at the heart of the Uber experience, and we’re asking riders to provide us with more information to achieve these goals.” ⁃ attributable to an Uber spokesperson.